Bank accounts and electronic money improve personal financial security. So the global finance industry can take a well deserved pat on the back for a 700 million increase in the number of people with accounts. But new data shows the United States has some problems. 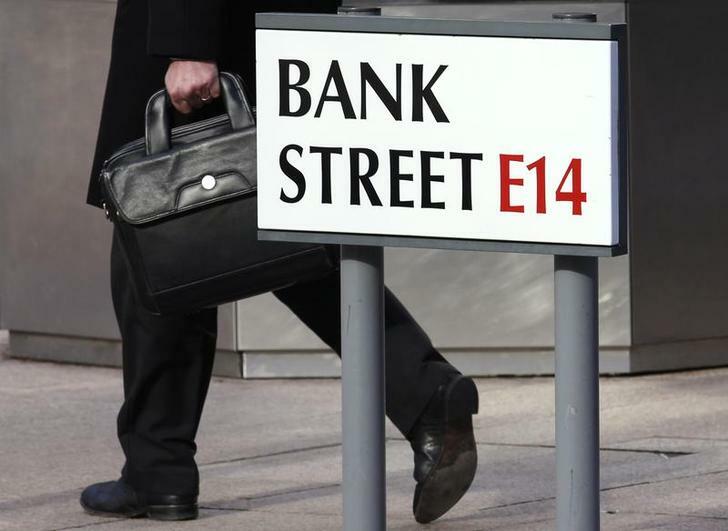 A worker passes a sign for Bank Street in the Canary Wharf financial district in London October 21, 2010. The Global Findex survey, produced by the World Bank, found that 62 percent of people worldwide now use financial institutions or mobile money services, up from 51 percent in 2011, a 700 million increase from three years ago. A 13 percentage point gain in developing countries, and an even faster advance of 17 percentage points amongst the poorest, plus innovations in mobile technologies drove the gains. The report also states, however, that two billion people remain “unbanked,” with over half the adults in the poorest 40 percent of households in developing countries having no access to financial services.